Have you ever written on a banana with a ballpoint pen? 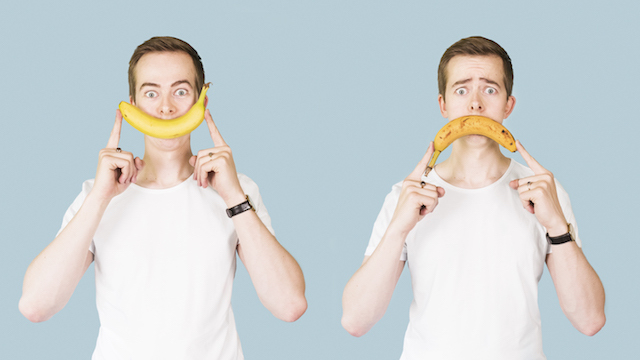 If not then you’re in for a treat if you visit Chris Turner at The Pleasance Courtyard. Chris greats the audience as they come in, a nice touch that set everyone at ease as they come in (plus it gives us time to write something witty on a banana) His set ranges from his views on the NFL, married life in the US and German vocabulary. He’s at home interacting with the audience, improvising bits and even a couple of raps, dropping in random facts from his mental form of Wikipedia throughout. Chris drops in some fantastic quick one liners along with some smarter gags and wordplay that once they had penetrated my head had me in stitches. You can hear our interview with Chris HERE.